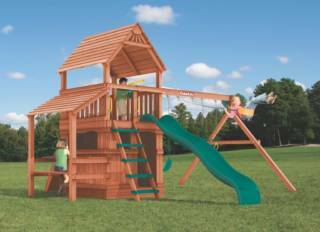 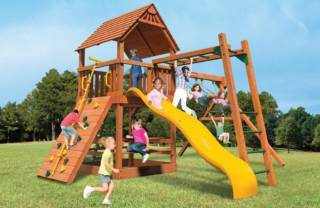 The Safari Series from Woodplay Playsets is one of the Best Affordable Backyard Playsets for your family. 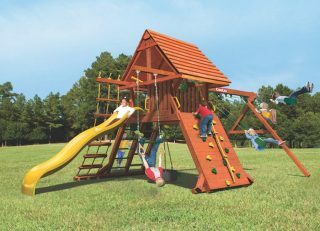 Made with similar characteristics as Woodplay’s high-end playsets, such as quality lumber, greater weight limits, longest warranty, and customizable. 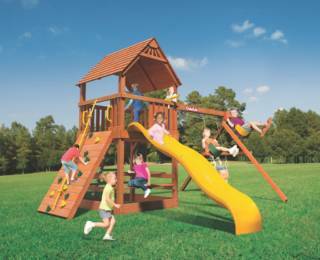 All at an affordable price point. 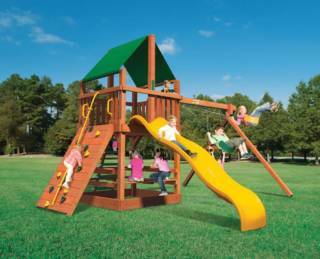 Monkey Tower playset includes a 25 sq. 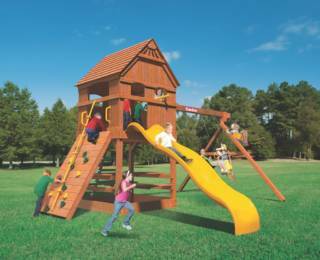 ft. fort, wood roof, picnic table, rock wall, ladder, 10′ slide, three-position swing beam, and accessories. 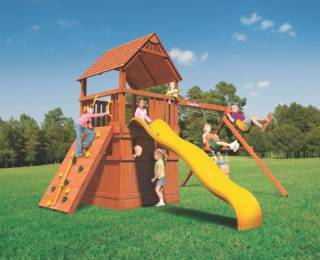 Monkey Tower playset includes a 25 sq. 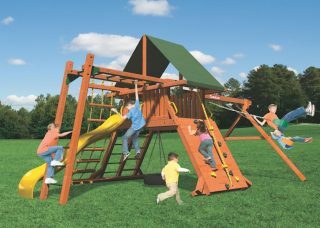 ft. fort, wood roof, enclosed room with floor, picnic table, rock wall, ladder, 10′ slide, three-position swing beam, and accessories. 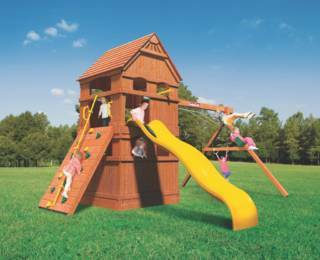 Monkey Tower playset includes a 25 sq. 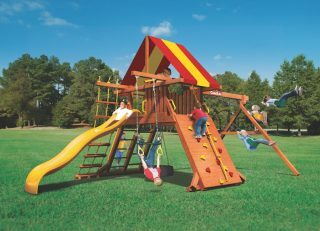 ft. fort, wood roof, enclosed room with floor, Tiki table, rock wall, ladder, 10′ slide, three-position swing beam, and accessories.